Roofing, It’s What We Do! SEAL: Helps create a water-proof barrier. Block water resulting from ice damming, wind-driven rains and normal water flow. A properly sealed roof helps prevent rot and mold. Ice and Water Barriers: Designed to protect the roof where water tends to collect, including valleys, vents, chimneys and skylights. Underlayments: Underlayment products are the final line of defense between the home and the elements. 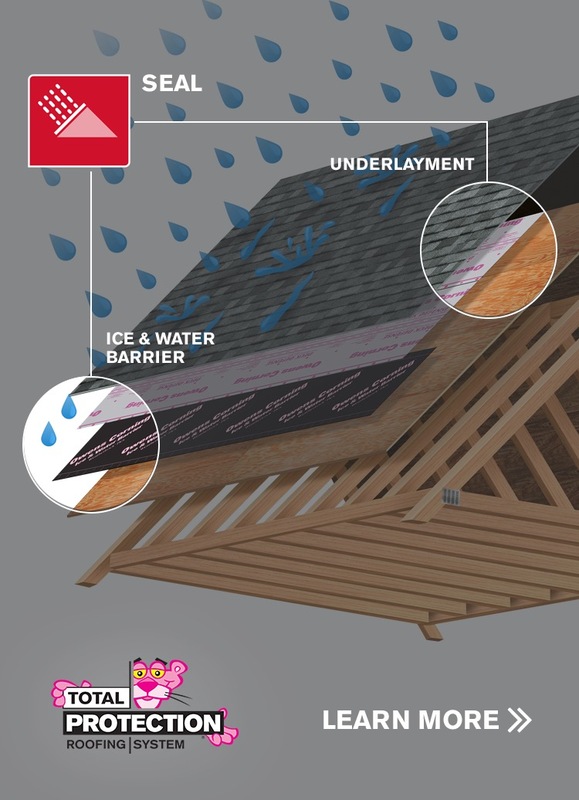 Underlayment products help block water from the roof deck and out of the home to prevent rot, mold, and water damage. DEFEND: Protects against nature’s elements. 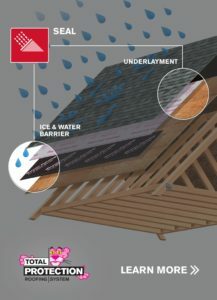 Add a tough, yet beautiful layer of defense with strong adhesion that resists blow offs and helps shed water away from the roof deck. Helps protect the most vulnerable areas such as eaves and peaks. 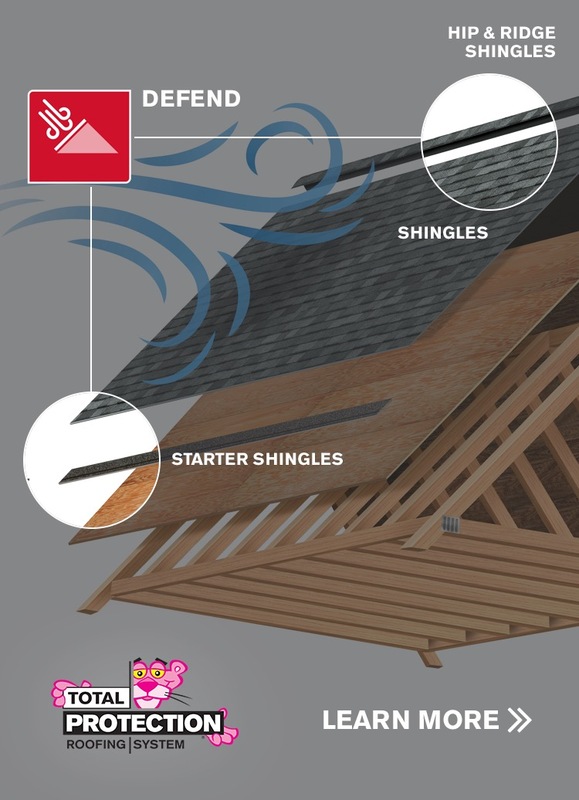 Starter Shingles: Their continuous sealant bead helps Defend against blow-offs and water infiltration in vulnerable areas of the roof. Shingles: Shingles not only serve as the first layer of defense against the forces of nature, they also help define the character of the home. 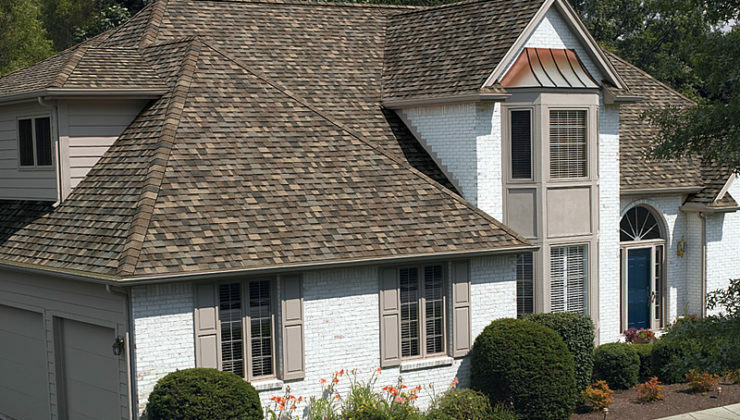 Shingles act as a star player in curb appeal for your customers, and Owens Corning Roofing offers a wide range of shapes, sizes, and color choices. Hip and Ridge Shingles: Hip & Ridge shingles provide a finished look to the roof’s peak while helpingto Defend the ridge vent. We offer a full line of Hip & Ridge products that are compatible with all Owens Corning™ shingles. BREATHE: For balanced attic ventilation. Reduces heat and moisture buildup that can lead to ice damming, roof deterioration, and mold infestation. This helps air flow through the attic to manage temperature and moisture. Intake Ventilation: Intake vents, which are located at the down-slope edge of the roof (eaves), allow fresh air into the attic. 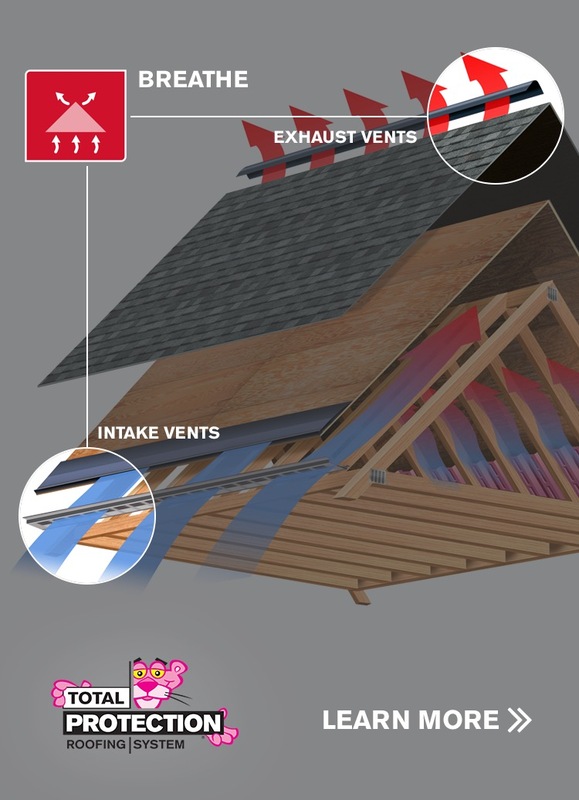 Exhaust Ventilation: Exhaust vents, which are located near or on the ridgeline of the roof, allow air to leave the attic. Family Tree and Home and Owens Corning® Roofing offers one of the best warranties in the industry. For added peace of mind, we make it fast and easy to learn about and compare our different roofing warranties, so you can find the best coverage option for your home. We’ve also made managing your warranty simple and straightforward. Whether you want to register, transfer or process a no-hassle claim quickly, each step is clearly outlined so you can take action without delay. Thank you for trusting Family Tree and Home and Owens Corning® to help protect your home.